Jennifer Bahling has been a member of Barrett | Matura since its inception. Her practice focuses exclusively on insurance matters, including a wide range of insurance coverage issues and coverage/bad faith litigation. 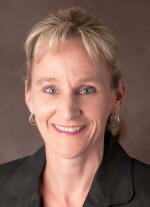 She spent a number of years at a large Phoenix law firm practicing in the area of personal injury/general litigation. For the past 15 years, her practice has been devoted to representing insurance companies on a wide variety of matters, with a particular emphasis on insurance issues that arise in the context of construction defect litigation. Ms. Bahling’s practice includes reviewing and analyzing claims, advising insurers with regard to coverage matters, assisting carriers with regard to underwriting standards and the drafting of policy provisions, and representing those clients in coverage and/or bad faith litigation. In addition to construction defect matters, her experience includes dealing with first-party property claims, general liability and professional liability claims, automobile liability and UM/UIM claims, and additional insured issues.